Located 3 km from Sealdah Railway Station, Hotel Lee International offers a 24-hour front desk and free parking facilities. Free Wi-Fi is provided throughout the hotel. A free international buffet breakfast is provided at the on-site Yum Yum Restaurant. 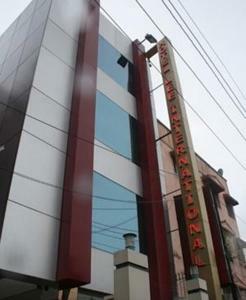 Hotel Lee International is 6 km from Howrah Railway Station. Netaji Subhas Chandra International Airport is 10 km away. Air-conditioned rooms are fitted with a flat-screen cable TV, electric kettle and personal safe. Two free bottles of mineral water are included everyday. En suite bathrooms feature a shower. Car rentals and room service are available. Staff can also provide round-the-clock laundry services. Free! All children under 12 years stay free of charge when using existing beds. One older child or adult is charged INR 500 per person per night in an extra bed. The maximum number of extra beds in a room is 1. There is no capacity for cots in the room. Any type of extra bed or crib is upon request and needs to be confirmed by management. Additional fees are not calculated automatically in the total cost and will have to be paid for separately during your stay.